Sometimes joining a psoriasis forum is a great way to connect with others who are also dealing with psoriasis. Not only can you find a lot of support, share ideas about what treatments are proving beneficial and which are not, but you can also make friends. 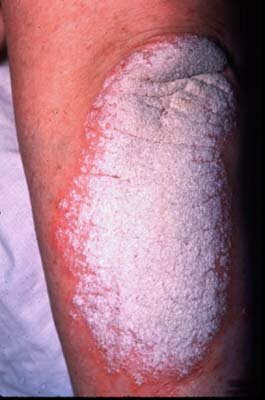 Probably the only real drawback to a psoriasis forum or any forum where people suffering from similar conditions gather is the prevalence of diagnosis and treatments being suggested by those with no medical training. That’s not to say that experience can’t play a role, but be wary of just taking the word of someone with no training about some new and as yet, unproven treatment. What’s the date of the most recent posts? If the last post or question posed was six months ago, or even a month ago, then chances are the group is starting to wane and you’ll not benefit from joining the group. What are the group rules? Learn them and follow them. Are posts monitored? Glance through previous posts and see if you spot any spam or people trying to sell you something. If you see any, it may mean that the owner of the forum or the group is not in evidence and is no longer monitoring the group. Where to find a Psoriasis Forum? You can do a quick search for “psoriasis groups”, you can also search Facebook groups using the key phrase “psoriasis” and you’ll be sure to find several that might suit. Here are just a few forums and groups that we found. Psoriasis Support Group – located on the Drug.com website, with 213 members, and the most active post about two weeks ago. Psoriasis Forums – part of the Psoriasis-Association.com.uk website, actually includes forums focusing on four different areas: Psoriasis Experiences, Treatments, Psoriatic Arthritis, and a General Chat Forum. One must register to actually see any posts, but the group appears to have several posts in the last few days. Talk Psoriasis – is a psoriasis and psoriatic arthritis support group and discussion community located on the Inspire.com website. It appears that there are currently over 121,000 members of the community, and the most recent posts have been in the last few days. Psoriasis Club – at psoriasisclub.org is divided into several discussion “boards”, such as Psoriasis Topics and News, Prescribed Treatments for Psoriasis, and Natural Treatments for Psoriasis; and those are the boards available to non-members. They also have members-only boards, which require one to become a registered member to access. Currently there are fewer than 1,000 members and the group appears to be quite active. Facebook is probably where you are going to find the most active psoriasis forum or groups. A simple search of “psoriasis” in groups turned up an amazing number of groups covering all types of topics with memberships ranging from less than 30 to over 18,000. Some of the groups are open, meaning that you do not have to be a member to read the posts, while most of them appear to be closed groups. The one caution about open groups is that they are often full of spam and not monitored very well, if at all. You can also check out Yahoo Groups and search for “psoriasis” and you may find a psoriasis forum or two. However, it appears that the trend in support groups is moving more and more to Facebook.